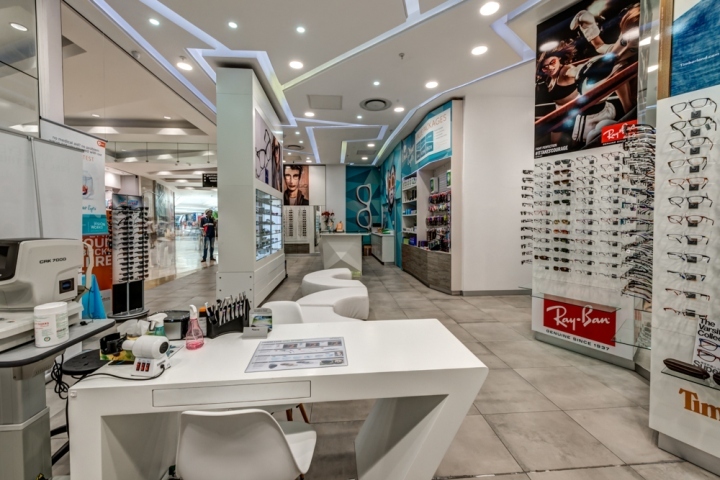 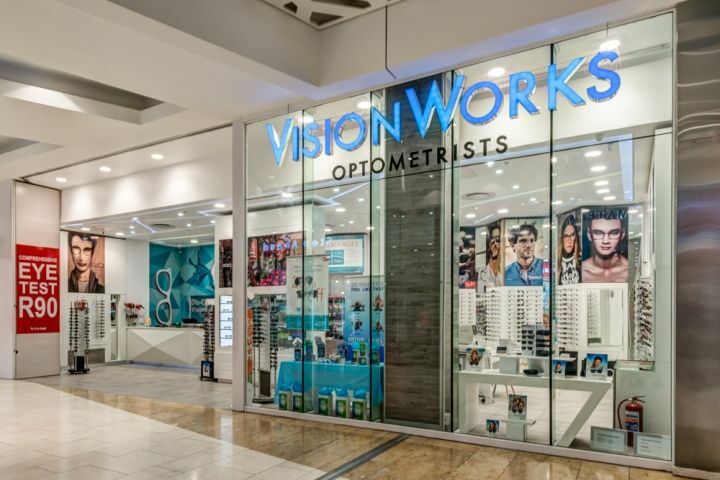 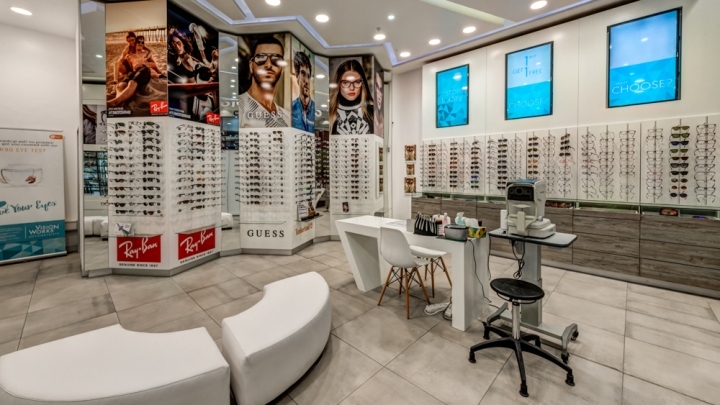 Creative Shop Retail Shopfitting designed and fitted-out the interior for Vision Works Optometry in the largest shopping mall in Africa, the Mall of Africa, in Midrand, South Africa. 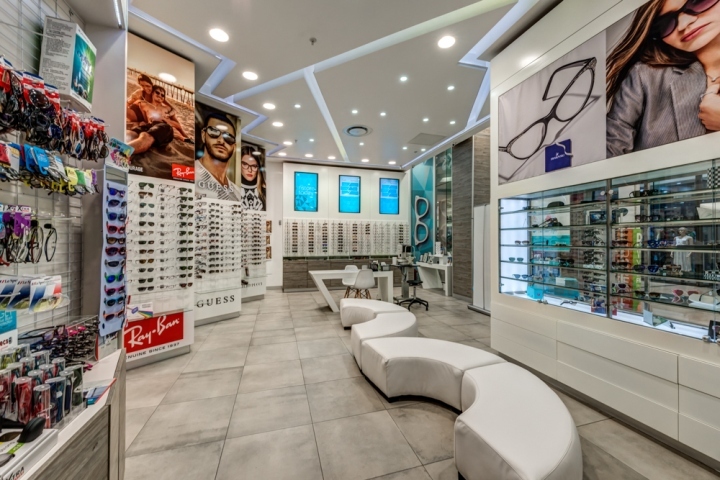 The client wanted an unusual, eye catching interior to entice foot traffic into the store. 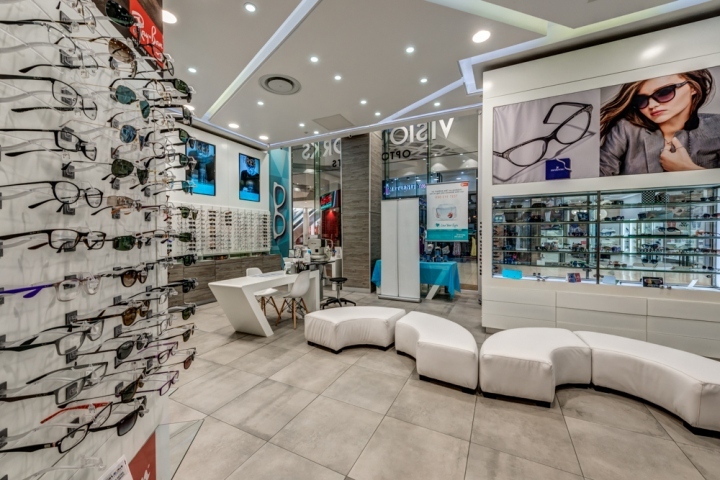 Furthermore, care had to be taken to maximise the circulation space and fit the private consultation rooms into the final design. 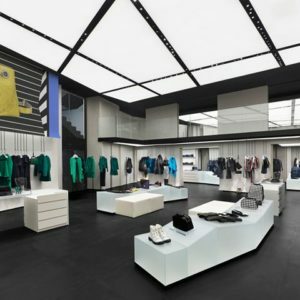 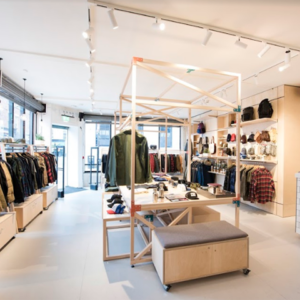 The resulting interior design makes use of a custom, white, geometric suspended ceiling, made up of individual bulkheads, broken up by strips of recessed LED and lighting, as a focal point to draw the eye upwards and increase the sense of lightness and space in the store. 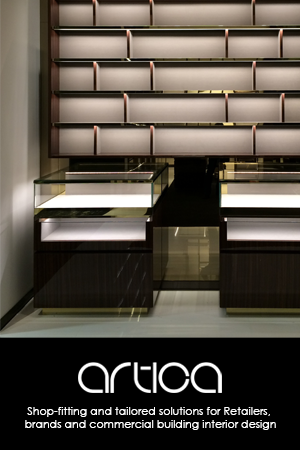 The bold geometric interior scheme is echoed in the white, Duco painted, multi-faceted and LED illuminated check out counter. 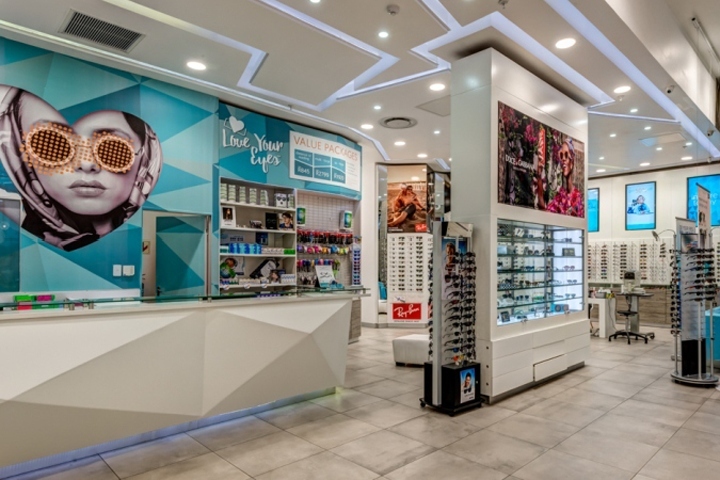 The angular patterns used throughout the design are repeated again in the concertina-shaped double-sided merchandising display stands, which dominate the back wall of the store and also serve as a divider between the retail store and the consolation rooms hidden behind them. 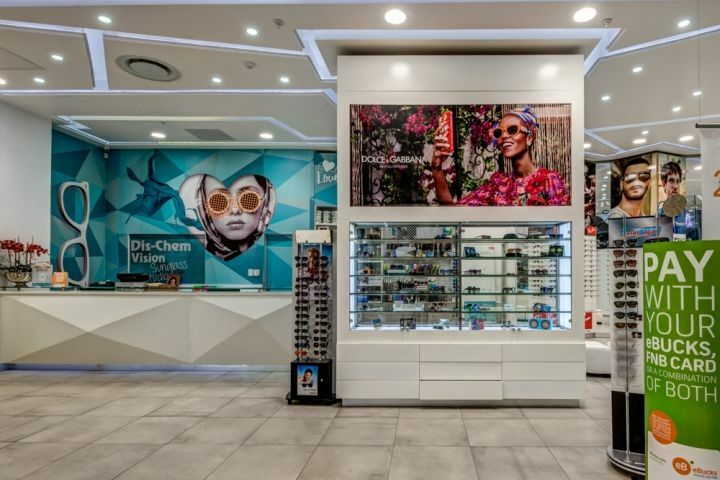 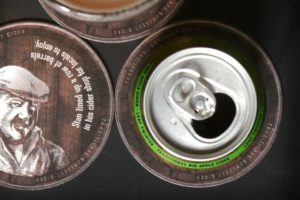 A custom stock-maximising 3D-printed glasses display system was designed and incorporated into the merchandising display units according to the clients’ specifications.